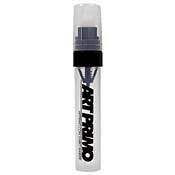 Art Primo Airbrush CapThe Art Primo Airbrush Cap offers precise, super-fine lines and excellent control for detail work as well as a special clog resistant nozzle. This cap surpasses all of our other super skinny caps in line size - with Flame Blue expect a clean pinky sized line or smaller. Features a higher pressure output than our Grey/Gold Dots. 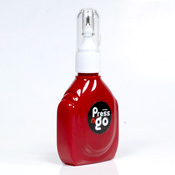 This cap was designed for the Flame Blue spray paint line but works with most European low pressure paint. Green Ranger approved! The Art Primo Airbrush Cap offers precise, super-fine lines and excellent control for detail work as well as a special clog resistant nozzle. This cap surpasses all of our other super skinny caps in line size - with Flame Blue expect a clean pinky sized line or smaller. Features a higher pressure output than our Grey/Gold Dots. 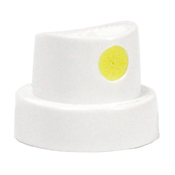 This cap was designed for the Flame Blue spray paint line but works with most European low pressure paint. Green Ranger approved! I first tested it out on afew finer detail things and I found there was quite a decent amount of overspray (bearable) but I really love it for sketching up or doing those thin hipster looking outlines for throwies. Very precise when you move at a steady pace and for a thin cap it is pretty clog resistant. 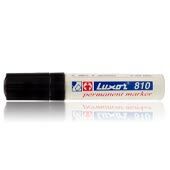 This product was added to our catalog on Monday October 10, 2016.